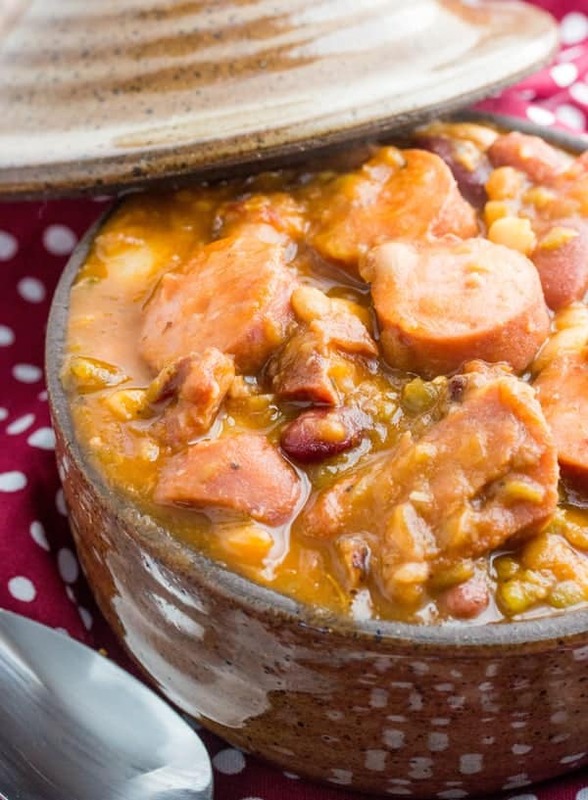 Warm up with this Cajun Ham and Sausage Bean Soup! Spicy, meaty and delicious this is one soup that will fill you up just on looks alone! I love soup! And it doesn’t necessarily have to be just around the winter time either….